Approved for Industrial or I-502. EXCLUSIVELY OFFER FOR SALE AT $595,000 - With Approved Permits! PERMITS APPROVED! HUGE HIGHWAY EXPOSURE! SHOVEL READY 6.44 ac w/(2) 20,000sf warehouses!. HIGHWAY 18 EXPOSURE! Approx 1,100’ along Highway 18 on the south edge. 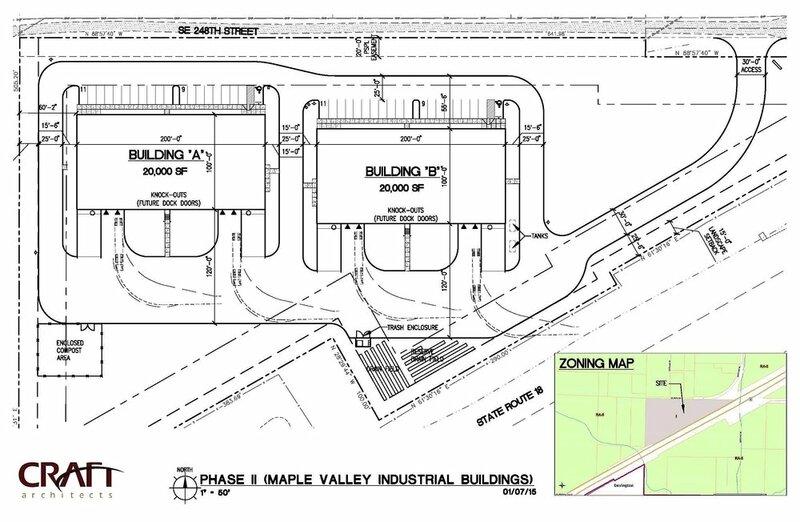 Highway 18 General Industrial Use or I-502 Development Project in Maple Valley (King Co jurisdiction). Both the Commercial Site Development & Building Permit are now in hand! SEPA-DNS. Site requires septic. Service road not up to DOT standards, box trucks & trucks-trailers ok, but limited semi deliveries. Project is ready for general industrial development or I-502. Seller Financing Available for 1st DOT. Bring offers, let's get this sold! Current road/access not up to DOT standards. Vehicles are restricted to cars, box trucks, trucks & trailers. Please no articulating vehicles (loaded semis outside of construction phase).